Used to cut 2" thick hockory with .050 fiberflass epoxied on top and bottom. Holds up much better than other blades I have been using. 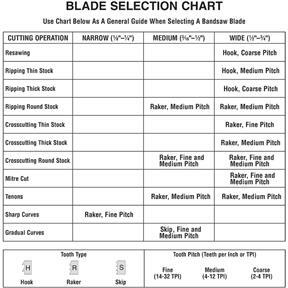 Other blades - 2 to 4 10" cuts. 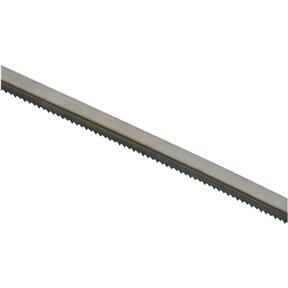 This blade - over 10 10" cuts and still usable for thinner cuts. Still loads up a little so I'm trying some 10TPI blades in the same brand to see if it will clear better. One of the staff members recommended this blade for my project - restoring an almost 100 year old cradle. The blade gave me super clean cuts on the rockers, a portion of the project that I had been dreading for a long time. Totally happy with the way they turned out. Great blade, great recommendation.